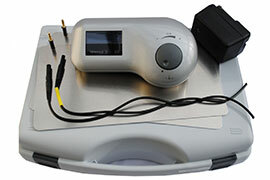 Made in Germany, Dr. Hönle products include easy-to-use iontophoresis machines and top-of-the range phototherapy devices designed to treat multiple skin conditions. Dr. Hönle products are available to order from The Antiperspirant and Deodorant Company and other leading retailers. The idromed® 5 PS is a powerful and refined iontophoresis device designed for effective treatment in the comfort of your own home. With its simple, single dial controls and clear text LCD display, this device is one of the best iontophoresis machines on the market. The idromed® 5 PS can be configured to treat excessive sweating of the hands (palmar hyperhidrosis), feet (plantar hyperhidrosis), underarms (axillary hyperhidrosis), face (facial hyperhidrosis) and torso (truncal hyperhidrosis), as well as the neck, groin, buttocks, thighs and back. The idromed® 5 GS is a powerful and refined iontophoresis device designed for effective treatment of excessive sweating of the feet (plantar hyperhidrosis) in the comfort of your own home. 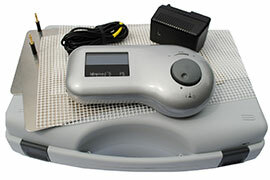 With its simple, single dial controls and clear text LCD display, this device is one of the best iontophoresis machines on the market. The Dermalight 80 UV-A from Dr. Hönle is an exceptionally high quality handheld phototherapy wand created to effectively treat localised acne and atopic eczema (also known as atopic dermatitis or neurodermatitis) all over the body. 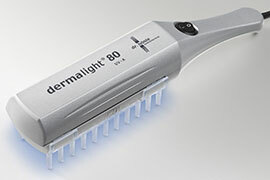 The Dermalight 80 UV-B from Dr. Hönle is an exceptionally high quality handheld 311nm narrowband phototherapy wand created to effectively treat localised psoriasis, alopecia areata and vitiligo all over the body.